What's the concept behind BIRDLIFE and what can people expect to find in your show? 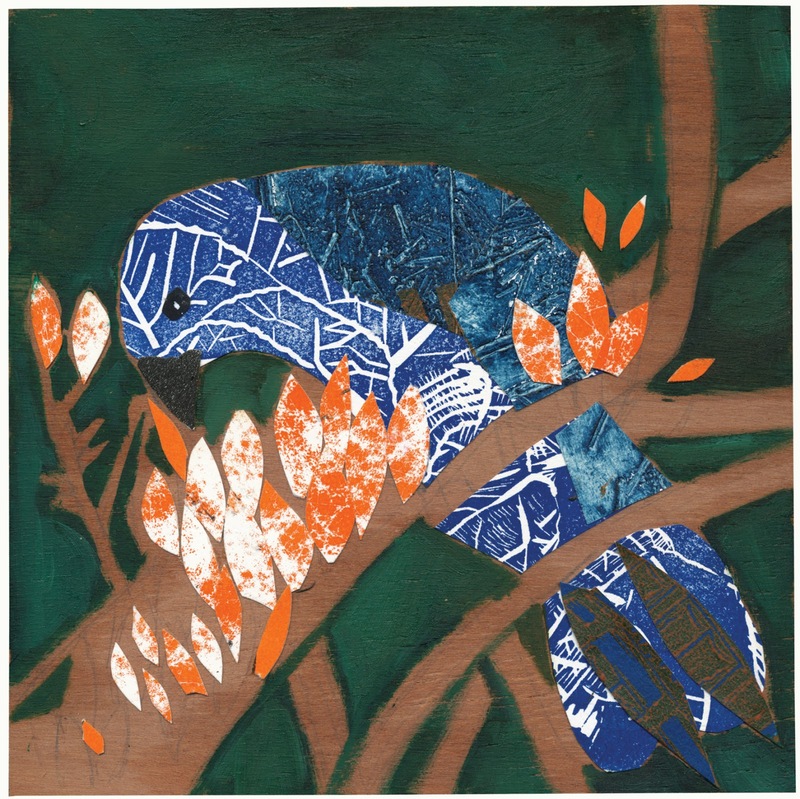 BIRDLIFE evolved from recycling my lino print proofs into collages of beautiful, colourful birds, each with a personality their own! I have found it fascinating, as I am sure visitors will, how the different bird identities have emerged from my discarded prints, they could almost be real. This show has opened up the wonderful world of birds to me, amazing! What are the mediums and processes you use to create your birds? As a printmaker I make and sell original lino prints. The ink I use in my original prints is oil based, I use the colour reduction method which sometimes gives me unexpected results. Colour reduction uses one piece of lino which is repeatedly cut and printed with a darker colour each time. Printing can be unpredictable, you can plan and plan, but, you’ll probably get a percentage of prints that aren’t what you were hoping for. This could be because of incorrect registration or not putting enough ink on the roller. That is the exciting part really... the unknown. 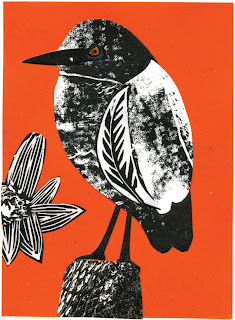 In the other works I have used plywood, oil paint, and the lino print proofs. 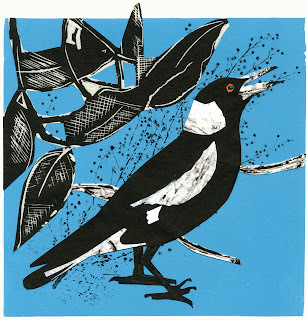 What do you enjoy about printmaking? I have a studio in Sydenham, which is my shed, somewhere to go to escape to, to focus on my art. I enjoy the physical part of inking up the plate, and putting the lino and paper in the press. And as I have said, the anticipation of the unknown, as you peel the paper from the lino. Its just a beautiful form, the negative and positive space and deciding how to translate something you can see into a two dimensional print, deciding how to cut the lino, which tool, how much to cut and which way. The challenge with lino is deciding when to stop. If you cut too much away you are unable to correct it. That's difficult! I think my style is fairly loose while working intuitively. I love colour, form and balance. My past life was a visual merchandiser, so I tend to see everything in a square, as if you are looking into a window, telling a story. I think just from everyday life. I have always enjoyed photography and the things that you notice as you walk around. Natural forms, light, colour and finding a composition that catches your eye. I also find the internet is a great source of inspiration - roaming around the world looking at printmakers and artists from distant lands. I was born in South Wales and spent years horse riding along the Welsh cliffs which has instilled in me a love of nature and the sea. I love Sydney Harbour, and the ferries, I have created several lino prints of the harbour.